Being the owner of any horse brings with it a lot of responsibility. There are many different breeds of horses, all of which have their own characteristics. A horse owner needs to know what these are in order to provide the best care possible for their horse of choosing. 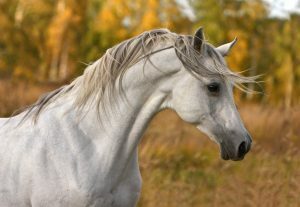 For those who favour the Arabian, then there is a lot to learn about this breed. Making the choice to own an Arabian horse is one that the majority of horse owners never regret. These horses are not just recognised for their skills in racing, but also for the many other contributions that they make. Owning a horse does come with some expenses. One of these is making sure that the Arabian horse gets the proper medical care. For the most part, this breed is considered to be a healthy one. They are also known to be a high-spirited horse, which at times can lead them to some medical problems. Fortunately, with the advancement of equine medicine: injuries that at one time would lead to a horse’s death can now be treated successfully. As the owner of an Arabian horse, the responsibility lies with the owner to ensure the horse is kept in a safe environment at all times. Most pet owners form a bond between the pet they have chosen and this is no different with the Arabian horse owner. These horses are known for their kind spirit and high intelligence. Most will house their horses in a barn but there may be a few rare exceptions to this. One Arabian horse has decided that the domestic house of its owner is more interesting than the barn. This, of course, is an exception to the rule that most horses enjoy their own natural environments. Even those horses that are on the racing circuit are owned by caring owners who form a bond with them. The Arabian horse comes with some daily requirements, which are standard for any animal and include a healthy diet. The daily care tends to the basic needs of the horse. When it comes to diet, it will depend on how much access they have to pasture. During the warm months, this is usually more accessible and much of their food requirements can come from grazing. However, supplements of grain and hay most probably will be necessary. Exercise is a must for the Arabian horse.